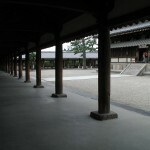 Horyuji. 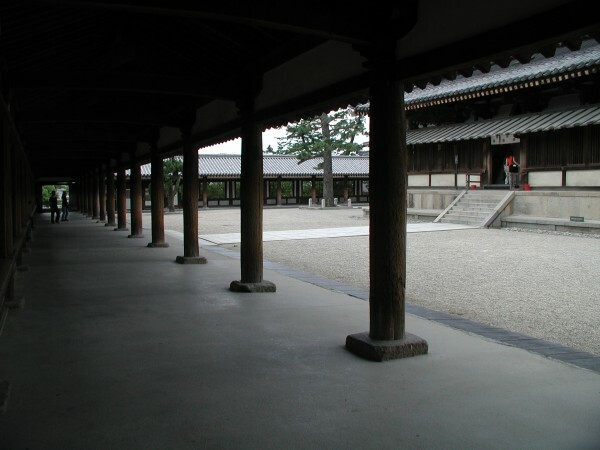 This vast temple complex in Nara is Japan’s oldest extant temple, and the world’s oldest wooden buildings. Horyuji. This vast temple complex in Nara is Japan’s oldest extant temple, and the world’s oldest wooden buildings. [/caption]We head to the ancient capital of Nara, first visiting historic Horyuji and Chuguji. Horyuji is the oldest surviving Buddhist temple in Japan, World Heritage listed and rebuilt after extensive fires in the year 670. Its near neighbour Chuguji (entered from next to Horyuji’s Pavilion of Dreams) has an imperial connection remaining to this day, and an incredibly beautiful Buddha, the famous Miroku Bosatsu. Our next destination is historic Kofukuji, before walking through Nara Koen with its sacred deer to the ancient shrine of Kasuga Taisha. From here we head across to Nigatsudo and the wonderful Todaiji, the largest wooden structure in the world and home to Nara’s famous Daibutsu. If the weather is wet we’ll visit the Isuien Garden & the Neiraku Museum. If it is dry we’ll drive to the top of Wakakusayama which gives us a fantastic view of the Yamato plain stretching from the outskirts of Osaka northwards to the southern outskirts of Kyoto, before returning via the scenic drive through the World Heritage listed primaeval forest of Kasuga Taisha.